Wild Card Weekend tends to be the best of the playoffs. Unfortunately this year there are enough teams with QB uncertainty that it’s taking a bit of the wind out of my sails. You still have to watch, but I think you could skip both AFC matchups and not miss anything. TY Hilton led the league in receiving yards, and LaGarrett Blount led with 18 rushing TD’s. Brock Osweiler vs. Connor Cook, no thanks! Technically it’s backup QB vs 3rd string QB, yuck. I braved the worst game of the season, watching the Bengals and Texans duke it out. For the first time in a long time, I have zero desire to watch a playoff game. Now watch, since I said that it’s going to be an awesome back and forth contest with a Hail Mary to win it. Either way, I might stick to the highlights on this one. Raiders 10, Texans 12. People are overlooking this game, but I think it could be the best one of the weekend. It really depends on which Seattle team shows up. Is it the one that lost to the Rams/Cardinals, or the one who beat the Patriots? The other thing we learned is that the Lions are NEVER out of a game. This is my upset pick of the weekend, with the Lions winning (with a missed Haushka field goal) 24-21. 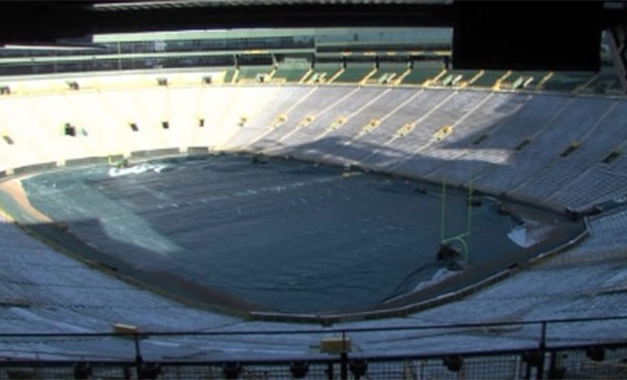 Both Giants Super Bowl wins involved wins at Lambeau Field, but the Packers may be hot enough to melt the frozen tundra. Despite not being as cold as the infamous NFC Championship game, this will still be a Football lovers football game. The Giants are another team that is very hit and miss. They took down the infallible Cowboys twice, but that Eagles loss was killer and they barely beat the Rams, Bengals, and Bears. I think Green Bay stays hot and win it 35-17. The Patriots are essentially guaranteed to make the AFC Championship this year. They can only play the Dolphins, Texans, or Raiders (none with their starting QB) in the Divisional Round. The Steelers and Packers are entering the playoffs with 6 and 7 game win streaks respectively. This is the first time in NFL history that 2 teams with that long of a winning streak have entered the tournament. We’re to playoff time! The season is always fun, but the final 11 games always ramp up the pressure and drama. But first, a few Week 17 notes. The Jets controlled their destiny and missed out on the playoffs, losing to nemesis Buffalo with only revenge to play for. Feel bad for Ryan Fitzpatrick, who sort of revitalized his career this year and played solid football, but has never seen the playoffs. Still shocked that the Patriots laid an egg against the Dolphins, and gave up the #1 seed. It’s a good thing that Brady has a BYE, because he looked severely hobbled after the game. After a hot start and then dreadful losing streak, the final Panthers game was the Falcons Super Bowl this year. It was a bit disappointing to see them get 14 wins and not be able to finish it off. They didn’t even need trick plays or turnovers to lose the game. The Falcons dominated the clock, and they dominated on 3rd down defense. The Panthers only had 8 possessions, didn’t score a TD after their opening drive, and were held to a dismal 113 yards passing. It may be a blessing in disguise though, as now they won’t face the pressure that the 2007 Patriots faced, and they won’t be forced to make the “resting” decision this week. For the second straight week, FMQB has turned into Saturday Morning Quarterback. Sorry for that, but had another weird holiday week. To make it up to readers, I have decided to “live tweet” (if you will, but not on Twitter) during both NFC matchups! Like me on Facebook https://www.facebook.com/fmquarterback to see my thoughts live in action. I talk a big talk, here’s your chance to see if my strategies and predictions are actually true! We’ve made it to the home stretch. 11 games remain before we find the ultimate champion. But before we talk about the beauty of the NFL playoffs, let’s take a look at an amazing Week 17 and how we got to where we are. It’s the final week of the year, man this season flew by. At least for 16 teams, they live to fight another day. There is a very exciting week 17 coming up, with #1 seeds and divisions still up in the air. But first, let’s take a look at an exciting week last week. For weeks, analysts have been saying if Seattle gets home field advantage, they were basically a lock for the Super Bowl since nobody could come into Seattle and win. Arizona has been a force this season, but not sure if anybody expected them to pull of a win. Last year in Seattle, Arizona lost 58-0. But they turned that around last week, giving the Seahawks their first home loss in 2 years. Not sure what happened, but Carson Palmer threw 4 INT’s, and the Seahawks only kicked 2 FG’s off of those turnovers. Seattle is starting to falter a bit, and have lost 2 of their last 3 games. and at the very least, teams won’t feel like they’re invincible at home. 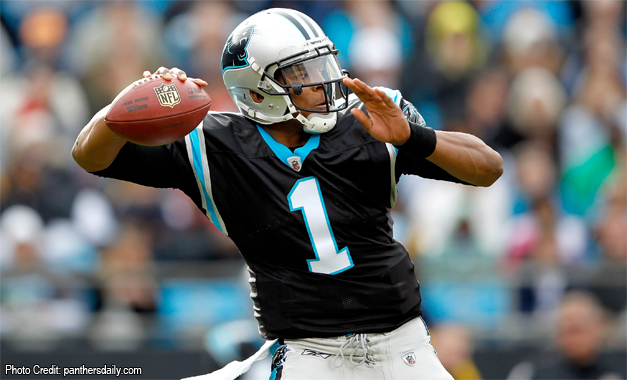 In a battle for the NFC South, the Panthers pulled off a huge win on Sunday, knocking the Saints out of a first round bye and a home playoff game. With the Saints 7-0 home record, but 3-5 road record, this could effectively change/ruin their playoff hopes. Very clutch performance from Cam on that final drive. He had a rough outing the entire game until the game was in his hands. The Carolina defense also showed up, sacking Brees 6 times. I guess changing out that left guard didn’t exactly work. As any avid reader knows, I am obsessed with stats, and the potential of breaking records. With the offense-happy league now, Peyton Manning is exactly right. Records that are set this year are in danger of being broken the very next season. Nevertheless, Manning has had an amazing season, and broke the single season record of TD passes by throwing his 51st in only the 15th game of the year. Last year, it was Calvin Johnson and nearly Adrian Peterson, but this is your year Peyton. Congratulations! Does Anybody Want to Make the Playoffs? Week 16 was an odd week. There were a few teams that could have wrapped up playoff spots, but wanted to make it more dramatic for fans, as it seemed that each of these teams lost. The Lions blew an awesome opportunity with both the Packers and Bears losing, as they lost on their own to the Giants and eliminated themselves from the playoffs. The Dolphins somehow got shutout against the Bills of all teams. The Ravens and Bears also had great opportunities, although they both lost to respectable teams (Patriots and Eagles). But still, very weird week where nobody seemed to want to get it done. Welcome to the meat of this week’s post. As I’m sure FFMQB is sick of by now, I have been complaining about the Aaron Rodgers situation for the past month (it probably doesn’t help that I have money on the Packers). To start off, I am never one to believe conspiracy theories. We landed on the moon people, Lee Harvey Oswald had a relatively easy shot at JFK, and the US government wouldn’t terrorize their own country. In saying that, the whole Packers situation is a true conspiracy theory. At this point, Aaron Rodgers has been practicing and been pain free for a month. The injury was also on his non-throwing shoulder. Doctors were saying “there’s a risk of injury.” News flash, it’s football! Take a look at the Cowboys situation before Friday. Romo gets a herniated disk, and fought all week to try to play on Sunday. So the Packers doctor says “Aaron, you have a slight risk of injury on your non-throwing shoulder and you’re pain free, but you can’t play.” Yet the Cowboys say “Tony, you have something wrong with your spine and are in immense pain, but we’ll shoot you up and you can try to go.” This makes zero sense to me. Either way, sure is convenient that Rodgers is ready to go now that they have 1 final shot at the playoffs. Should be interesting to see a rusty Cutler and a rusty Rodgers battle it out for the division. By the next time you see me, there will have been a slew of coaches fired in the NFL. In an HR nightmare, there is about 25% turnover every year from coaches, with about 8 teams starting over. Let’s take a look at who may be looking for a new job on Monday. A Given: Coaches who are basically out the door already. Texans Gary Kubiak (already happened). Redskins Mike Shanahan will either quit or be fired, although it’s tough to blame the guy. NY Jets, Rex Ryan. I think he deserves one more chance, as the Jets being in the playoff hunt in Week 17 wasn’t on anybody’s radar. Buccaneers Greg Schiano. Loved the guy at Rutgers, but he has brutal tactics and lost the locker room early in the year. Lions Jim Schwartz. Another guy with aggressive and dirty tendencies. The division was theirs to lose when the 2 best QB’s in the division went down for multiple weeks, yet the Lions went 1-5 in that stretch. Potential: Vikings, Leslie Frazier. He’s had 2 incredibly rough seasons that sandwiched a playoff team. But the Josh Freeman signing was a poor allocation of money, and he needed to find a QB and stick with that person. Oakland’s coach has only had 2 years, but has struggled to find an identity. The Raiders are notoriously quick to let coaches go even with Al Davis gone. Hot Seat, but not gone: Giants, Tom Coughlin. Feel bad for the guy, because he has been on the hot seat for the past 10 years, minus the 2 years after they won the Super Bowl. There will be discussions about firing him, he may even retire, but I bet he’s back. Cowboys, Jason Garrett. Definitely showed improvement this year, which is the only reason why I think he stays. Working with a crazy owner like Jerry Jones has got to be tough, but Jones seems to have his back. Plus with Romo out, it’s tough to place blame on Garrett for missing the playoffs. For the 3rd straight week, a team kicked and recovered an onside kick when the other team was expecting it. For reference, in 2012 teams were successful just under 13% of the time. Panthers LB Luke Keuchly had 24 tackles on Sunday. To put this in perspective, the leading tackler in the NFL averages 10.4 tackles a game. At age 37, Peyton Manning just threw his 487th TD pass on Sunday. Favre was 41 when he tossed his 508th. Manning became the first QB ever to surpass 50 TD’s and 5000 yards in the same season. The top seed in the AFC (Denver) has 4 players with 60+ catches and 10+ TD catches. The top seed in the NFC (Seattle), does not have a player with 60 catches, nor 10 TD catches. In a five-way playoff tie, you first break ties within divisions. The Jets would eliminate Miami by virtue of a better division record (3-3 to 2-4). Pittsburgh eliminates Baltimore by having a better division record (4-2 to 3-3). That narrows it to Pittsburgh, San Diego and the Jets.